Most species are negatively affected when humans transform natural habitats into urban areas and agricultural lands, but a few species actually benefit from these activities. These species—called human commensals—thrive in human-modified environments. One example, the Asian common toad (Duttaphrynus melanostictus), is extremely abundant in villages, towns, cities and agricultural areas across much of Southeast Asia, where it feeds on insects that are attracted to artificial lights. Because of this long and close association with people, Asian common toads are assumed to easily disperse over large distances, including saltwater barriers between islands, when they are accidentally transported with land and sea cargo. Such long-distance dispersal abilities infers that the toad's genes also easily move among populations, and that toads in different parts of Southeast Asia are genetically similar. A research project by Bryan L. Stuart, Research Curator of Herpetology at the North Carolina Museum of Natural Sciences, and colleagues at the University of California, Berkeley, and Institut Teknologi in Indonesia, tested the hypothesis that Asian common toad populations across Southeast Asia are genetically similar owing to their commensal nature and high dispersive ability. To the researchers' surprise, three genetically divergent groups of toads were found, each in a different geographic area (mainland Southeast Asia, coastal Myanmar and the islands of Java and Sumatra). The ranges of these three groups of toads were also found to have statistically different climates. This suggests that the toads may be adapting to local climatic conditions and evolving into separate species. Thus, toads of one group may not be able to disperse and persist within the range of another group because of climatic differences. This research changes the view on the conservation value of these toads. One common toad may not be the same as another. What is thought to be a single, common species having a large range may actually be three distinct species, each having smaller ranges with specific climatic needs. 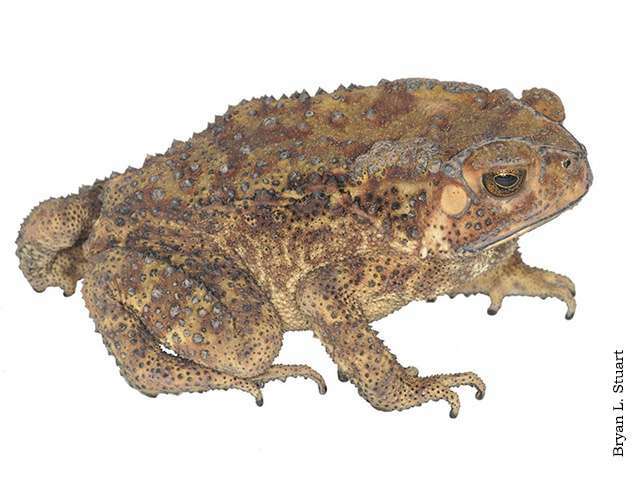 Asian common toads have recently invaded the Southeast Asian islands of Borneo, Sulawesi and Seram and the African island of Madagascar, presumably via shipping containers. The discovery that there are three genetically and ecologically divergent groups of Asian common toads may explain why some islands have been successfully colonized and others not—and what the future range of these toads will be as humans continue to modify habitats and transport cargo around the world.